Next week, the startups we selected to represent the Caribbean at TechCrunch DISRUPT SF will finally be here! Get to know the group of talented young founders below. Nestor Tavares was born and raised in San Juan, Puerto Rico. He's been a serial entrepreneur since high school. He earned a bachelors in International Business and Economics from Boston University, focusing in Latin America. Then he achieved a MBA in International Marketing from USC. He co-founded several successful ventures before founding Brands of Americas and has over 13 years of combined experience in marketing, advertising, technology, e-commerce, sales, management, foreign service and business development in both domestic and international markets. Sergio Pengel is the founder of PIEDATA, a software development firm for startups in the Caribbean Marketplace. He is a mobile engineer and social influencer committed to elevating lifestyles through creative technology and minority inclusion. With more than than 7 years experience developing mobile commerce solutions and working with government and private sectors in over a dozen countries, Sergio has organized regional hackathons, and pre-accelerator programs for startups in underserved communities. Jeison Orovio graduated as an IT engineer in 2009 and started his career at the Center of Genetic Engineering and Biotechnology. In 2011, he moved to the freelance market, where he began a team of web developers that has since gone on to become a digital marketing agency -- JYD Solutions. The company focuses on Graphic Design, Web Development, Search Engine Optimization (SEO), Content Creation and Social Media. They have worked for many notable clients including Gibara International Film Festival and Cuban National Ballet. 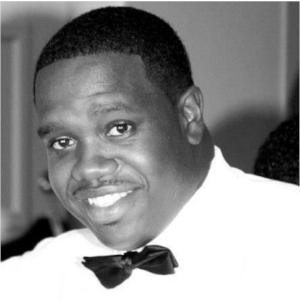 Jermaine Henry is CEO/Co-Founder of FlowFacto. He is also Entrepreneur-in-Residence at the California-based Micro-VC firm, Devlabs LLC. Jermaine founded his first startup at 22 years old, and since then has been involved in a number of initiatives aimed at supporting and training startups in the Caribbean, South America, Africa and the United States. Romario Raffington is the CPO/Co-Founder at FlowFacto. Previously he was the Lead Consultant at the software development and testing firm, QualityWorks Consulting Group, where he lead multiple teams. In addition to being CCNA certified, Romario has also received the award for best computer science graduate for the University Of Technology, Jamaica 2015 graduating class. Dwayne Samuels is the CEO and cofounder of Samelogic, a video analytics company that measures emotion and intent with video surveys. This year he was named one of the Most Influential Persons of African descent by the United Nations. Dwayne has also been awarded by the Prime Minister and Governor General of Jamaica and many other organizations for his work in technology. A lover of self improvement and constant learning, he’s always reading research papers or autobiographies to learn from the best minds in the world. Lorraine Feury is Samelogic's data science chief advisor and is also a Staff Scientist in Booz Allen Hamilton’s Data Science and Machine Intelligence group. She is a data scientist focused on facilitating and fostering ergonomic processes that provide innovative data science approaches and solutions. Lorraine developed life cycle cost analysis that advised multiple decision makers within the U.S. Navy. Her predictive analogous and parametric models managed cost performance and risk of current and future U.S. Navy ships. Rafael Martinez was a Biology major at the University of Havana before moving onto the entrepreneurship track. He is now the founder and CEO of Mi Cama, a platform for short-term home rentals aimed at Cuban nationals. The project was a winner of the 10x10KCuba contest, which enabled participation at Stanford University’s business accelerator program. Rafael has also taken courses in business administration at the University of La Salle in Mexico.